Palmetto bug’s real name? American Cockroach! I loathe bugs….just loathe them. I make no secret about it. In fact, I’m quick to point out that if I were captured by …well…um….anyone and they wanted to get information out of me… all they’d have to do is show me a bug photo and I’d sell my first born in a New York minute. I’m not proud of the fact that somewhere there is a kink in my DNA that allows me to completely freak out over creepy crawly things. But it’s a fact! Fresh from living eight years in virtually bug-free Southern California, just two miles from the ocean, I’m now here in “middle earth…”….oh, I mean Huntsville, Alabama. 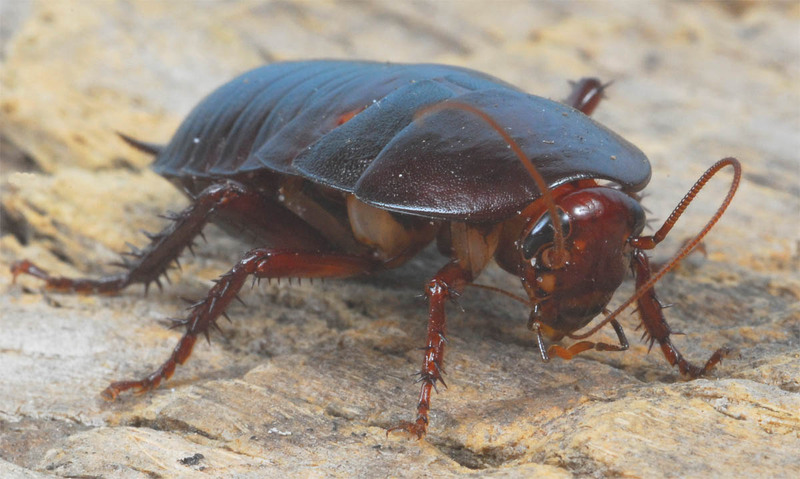 In the month that I have lived in my lovely home I have seen a black scorpion, spiders of all shapes and sizes, crickets-on-steroids, stick bugs, leaf bugs, huge black carpenter ants, centipedes, and what I thought was a beetle but turns out it’s a palmetto bug….translation…AMERICAN cockroach!!!! In addition, the neighbor across the street assures me that it won’t be long that I’ll encounter a rattlesnake, cottonmouth or copperhead! Yep….she’s had all three in her back yard! Seriously folks, this whole insect-thing makes me want to flee, sans furniture or suitcases, and if need be…husband, back to uber expensive Southern California! So, with spray containers of Raid–one on each hip–I’m waging war “Dirty Harry” style against these creepy crawlers (except for those stick bugs….they don’t seem to want to come inside the house anyway). 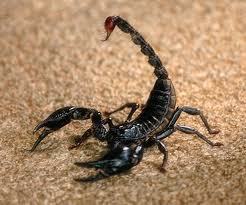 Just yesterday morning a black scorpion decided to make itself home in my kitchen (what a way to ruin a perfectly good brunch by the way!). I’ll fess-up right now it was not moi that ended the critter’s life. A mild shriek brought hubby to my side and he unceremoniously flattened it with a shoe. Take that! Tomorrow I’m calling the pest control dude AGAIN. I’m sure he’ll be rolling his eyes as I rant about more bugs found in the house but this time I am prepared; I have a photo of the scorpion on my kitchen floor for proof and hubby bagged the Palmetto bug for concrete evidence! As evening approaches, I am wondering if I will ever freaking sleep well in this house!